Grab some popcorn—AT&T wants to take you to the movies. The acquisition would combine a telecom giant that owns a leading cellphone business, DirecTV and internet service with the company behind some of the world's most popular entertainment, including "Game of Thrones," ''The Big Bang Theory" and professional basketball. It would be the latest in a scramble of tie-ups between the owners of digital distribution networks—think cable and phone companies—and entertainment and news providers, all aimed at shoring up businesses upended by the internet. The deal would make Time Warner the target of the two largest media-company acquisitions on record, according to Dealogic. The highest was AOL's disastrous $94 billion acquisition of Time Warner at the end of the dot-com boom. Regulators would have to sign off on the deal, no certain thing. The prospect of another media giant on the horizon has already drawn fire on the campaign trail. Speaking in Gettysburg, Pennsylvania, Donald Trump vowed to kill it if elected because it concentrates too much "power in the hands of too few." 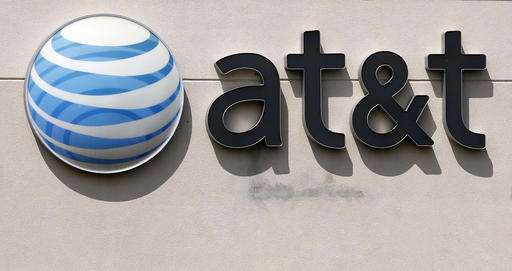 Shares of AT&T, as is typical of acquirers in large deals, fell on reports of a deal in the works on Friday, ending the day down 3 percent. Companies that provide phone and internet connections are investing in media to find new revenue sources and ensure they don't get relegated to being just "dumb pipes." Verizon bought AOL last year and has now proposed a deal for Yahoo to build a digital-ad business. Comcast bought NBCUniversal in 2011. The venerable phone company, whose roots trace back to Alexander Graham Bell, has to contend with slowing growth in wireless services, given that most Americans already have smartphones. And it faces new competitors for that business from cable companies. Comcast plans to launch a cellphone service for its customers next year. Even if the AT&T deal overcame opposition in Washington, though, it's possible that regulators might saddle the combined company with so many conditions that the deal no longer makes sense. 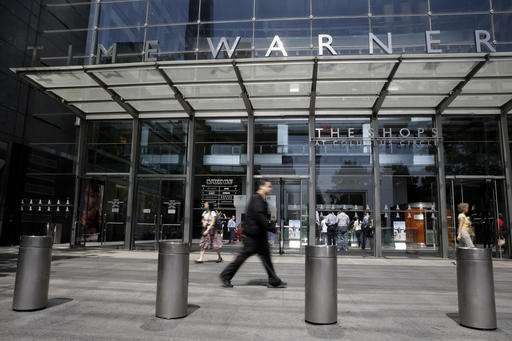 Amy Yong, an analyst at Macquarie Capital, recalled many celebrated media deals of the past have turned into duds, mentioning the Time Warner-AOL deal in particular. "If you look at history, it's still an unproven" that big deals make sense, she said. AT&T, she noted, was paying "a huge price." John Bergmayer of the public-interest group Public Knowledge, which often criticizes media consolidation, warned of harm to consumers from the AT&T deal. He said, for example, AT&T might let wireless customers watch TV and movies from Time Warner without using their data, which would make video from other providers less attractive. The prospect of more media acquisitions sent several stocks soaring Friday. Netflix and Discovery Communications each jumped more than 3 percent. There used to be laws to prevent the concentration of power into too few hands. Where are those laws now? Oh, right. Clinton then Bush eradicated them, due to their collusion with business and financial interests, and the propaganda aspects of the war machine. This is the root functional meaning/result of fascism: When governments and private financially motivated/connected interests.... collude together... in a form that is against the will of the people. Judge Green is spinning in his grave at 15k RPM and smoke is rising from the ground. This is America?